Discover a whole new world of fun at Museum Victoria these autumn school holidays! Take part in the unique art/science experiment at Scienceworks, Space Tape: An Ever Expanding Universe, and use coloured tape to structure the universe! Get egg-cited about eggs at Melbourne Museum and meet the egg laying animals and their keeps. 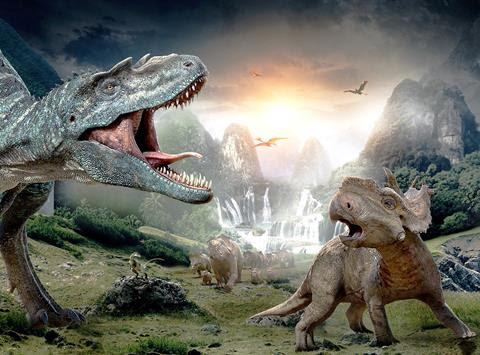 Take an eye popping IMAX 3D journey to Alaska during the Cretaceous period and experience a year in the life of a dinosaur at IMAX Melbourne Museum. Kids can take part in a unique art-science experiment taking place at Scienceworks these school holidays. Join in to generate a large-scale, floor-based drawing installation using coloured tape, conceived by artist Briony Barr in collaboration with astrophysicist Andrew Melatos. Journey to another world with the entertaining live performance, Astro Adventure - showing in the amphitheatre. Join in as we plan a mission that’s out of this world! Kids can come along and find out in this live, 20 minute astronomical show. All-sky astronomy is a new way of looking at the sky to better understand our Universe! Produced in partnership with the ARC Centre of Excellence for All-Sky Astrophysics (CAASTRO), this new planetarium show highlights current research being carried out by astronomers within Australia. New and innovative telescopes such as SkyMapper in NSW and the Murchison Wide-field Array in WA, have been designed to survey large sections of the sky. They are finding things we’ve never seen before and will help us to better understand our Universe. Narrated by award-winning Australian Actor Geoffrey Rush. Adults, Concession and Children $6, Members $4. Checkout Melbourne Minor's review for us. Ever wondered what kind of egg a spider lays? Children can immerse themselves into the world of animals and their eggs and meet the experts and egg-laying animals at Melbourne Museum and get up close and touch eggs of all types and even make their very own egg to take home! Get closer to dinosaurs than ever before in Jurassic World: The Exhibition, open from 19 March to 9 October 2016. Based on one of the biggest blockbusters in cinema history, the exhibition immerses audiences of all ages in scenes inspired by the beloved film. Now, the park that was only a promise comes to life… right before your eyes. 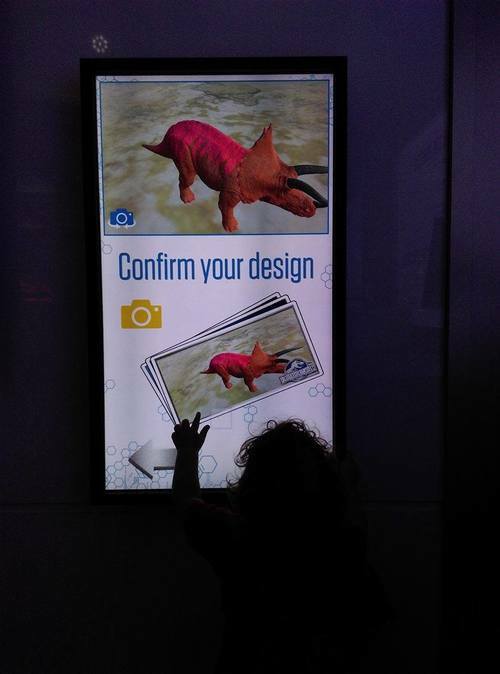 An interactive exhibition and activities for little ones. Checkout Melbourne Minor's review for us. If you were a river stone, what would your journey be? 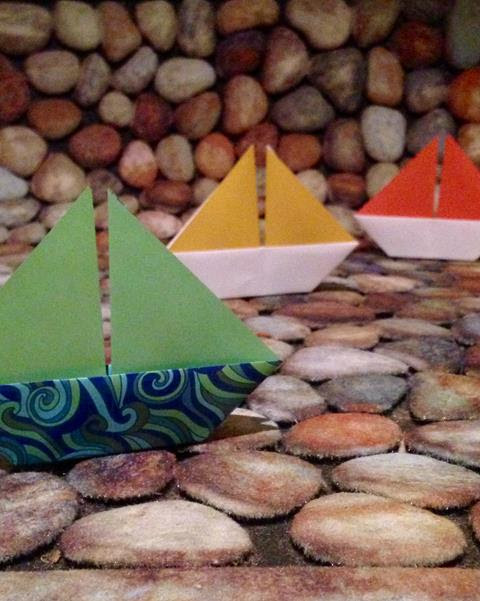 Kids can become a traveller, fold a paper boat, carry a stone and contribute your story in this interactive installation developed by artist Rea Dennis. River + Stones forms part of Rea Dennis’ ongoing project The River and the Immigrant Body, which considers identity, migration and sustainability through art making and performance. Join IMAX Melbourne on a thrilling ride, as we spin back in time to an extraordinary prehistoric world: Alaska in the Cretaceous period, 70 million years ago – the last great flourish of the dinosaur era. BBC Earth invites you to come on a journey through the seasons, and experience a year in the life of dinosaurs fighting, feeding, migrating, playing and hunting.